Humor is ALL around us. You just have to see it……. I started these sketch books because I wanted my children to know who I was as a person….not only their Mother. I wanted them to know what I was thinking about and how I saw the world. And most importantly to know, no matter how verkakte (verkackta, fakata, fercockt, fakakta, vercocked) the world gets….there’s always something to laugh about. 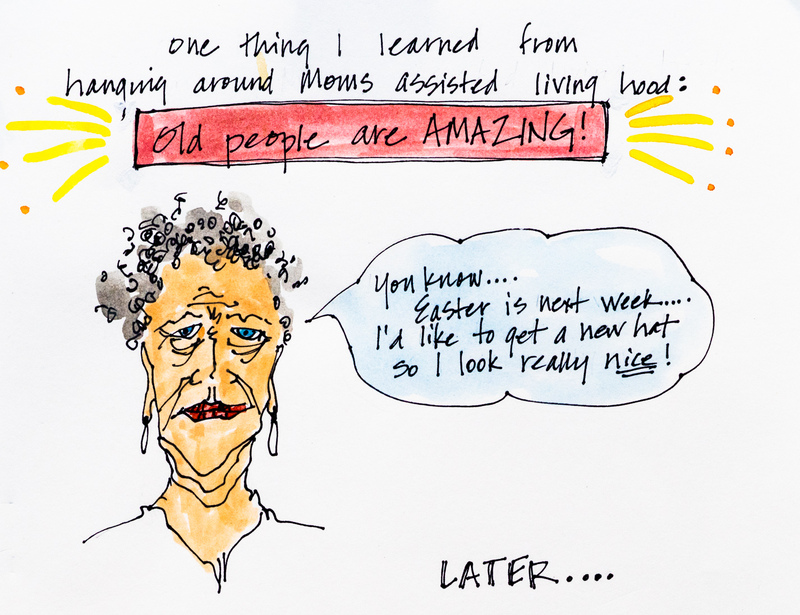 My mother has Alzheimer’s…. which means her brain is literally falling apart. Alzheimer’s is a devastating disease. It is truly a HORROR to watch her disappear in front of me and there’s NOTHING I can do about it. We are launching the website!